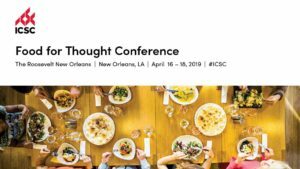 Ed Eimer has been invited to speak on a panel with Josh Levy from Waterstone Properties and Chef Akhtar Nawab at the ICSC Food for Thought Conference in New Orleans on April 16. The panel is themed “If you build it…..the making of a Food Hall” and will be narrated by Phil Colicchio of Colicchio Consulting. The panel will be presenting the 26,000 sf Rock Row Brewery and Food Hall in Portland, ME which is currently in design.